OPERATING WEIGHT IS 190 LBS. COMPACTION DEPTH IS 12". APPROXIMATE COMPACTION AREA IS 9750 SQ. FT./HR. CENTRIFUGAL FORCE 3375 LBS. 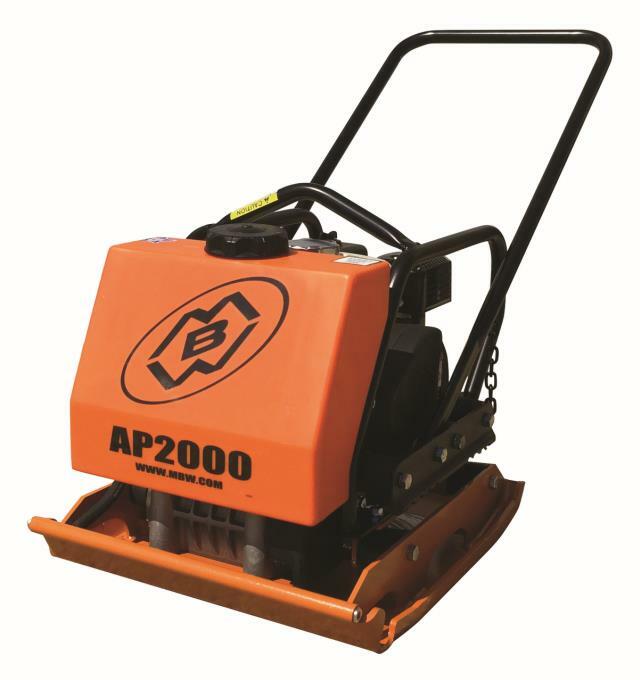 FOR COMPACTION OF GRANULAR MATERIALS AND HOT OR COLD ASPHALT.